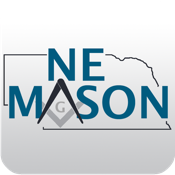 The Nebraska Mason is the official magazine of news for the Grand Lodge of Nebraska. For more information on Masonry in Nebraska go to www.glne.org. The iPad users can download each issue for free.